When you produce oil and gas for a living, where do you look? Where it’s always been, hiding in plain sight. In an earlier post, we described the business and IT challenges (and attendant gloom) that oil and gas producers face and how larger reserves can help companies survive downturns. Although unconventional resources such as oil shale can expand reserves, this strategy requires new extraction methods such as hydraulic fracturing (“fracking”) to increase production. New big data analytics solutions are being developed to help oil and gas producers pinpoint locations of reserves that are more difficult to find and produce. But wait! There’s good news in this story. With current exploration technology, about 20 percent of fracking stages (areas surrounding each well’s horizontal drilling pipe) account for 80 percent of total output. Finding and extracting more output per well is the name of the game. And big data analytics methods help to produce more output per well, at lower costs. So now, the spotlight is on data analytics. Converting a complex flood of data into better business and operating decisions requires new solutions. 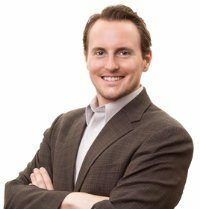 And getting the desired results—more efficient operations—requires carefully designed capabilities, data manipulation, analysis, and presentation and better decision-making tools. A quick scan of trade press uncovers a surprising strain of optimism. One analyst even claims that development of unconventional resources soon will enter a phase promising to lower the cost of producing oil from shale toward levels normally associated with Saudi Arabia. Gather, analyze and visualize high-volume, unstructured data. Big data analytics combines new discoveries made by geoscientists with historical data collected during drilling of past wells. Operators can now process and scan logs and scout tickets to gather data before they hit the paper shredder. In one case, more than 2 million documents of drilling information were processed in a single week of data discovery. Change the approach to drilling. Analytics-based drilling will progress from the repetitive, factory approach to a high-grade strategy. This approach requires that analysis changes techniques used for each well and uses the best tools and techniques in only the best parts of the shale. Finding innovative ways to use their ever-growing datasets. 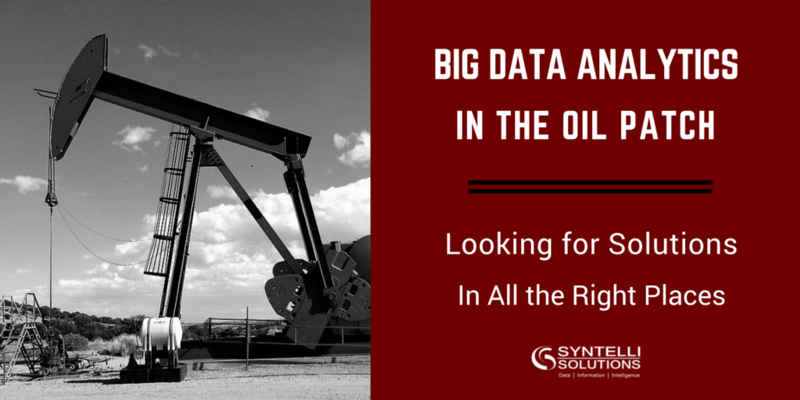 Using real-time data to optimize production across an entire oilfield or region. Avoiding reliance on conventional tools. Using data visualization and other BDA tools to spot outliers and emerging patterns. Standardizing on methods and approaches found in data discovery and using them to support operational decision making. This includes deciding when to take machinery offline for maintenance. Or when a certain level of production must be achieved to realize a good price on futures. Benefits that accrue from oilfield big data analytics don’t occur by using individual technologies or digital connectivity. Instead, organizations achieve radically more efficient results by using big data in radically more efficient oilfield operations. Next Time: In Part 3, we get down to the real nitty-gritty: business value and benefits that oilfield big data analytics makes possible. Syntelli data scientists are passionate about solving big data analytics problems! Contact us today or request a demo of Syntelli Services to learn how we can help your organization!